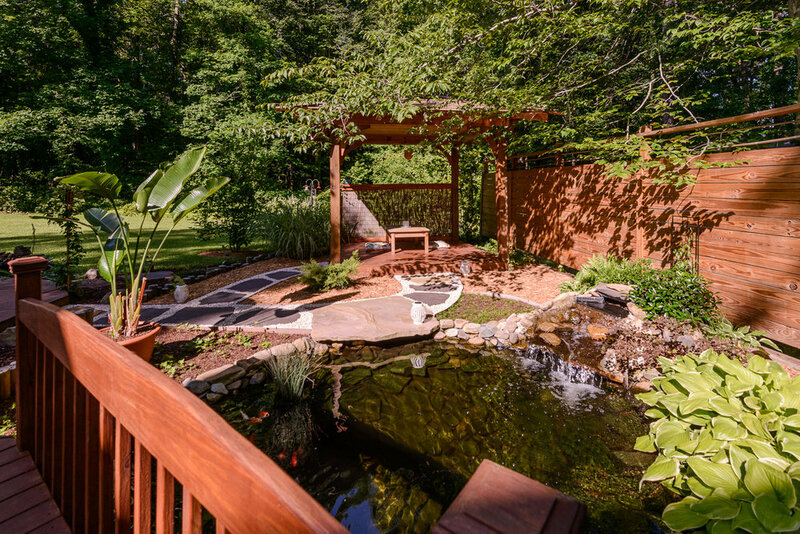 This was a special job near and dear to my heart, designed as a outdoor oasis for my mom. 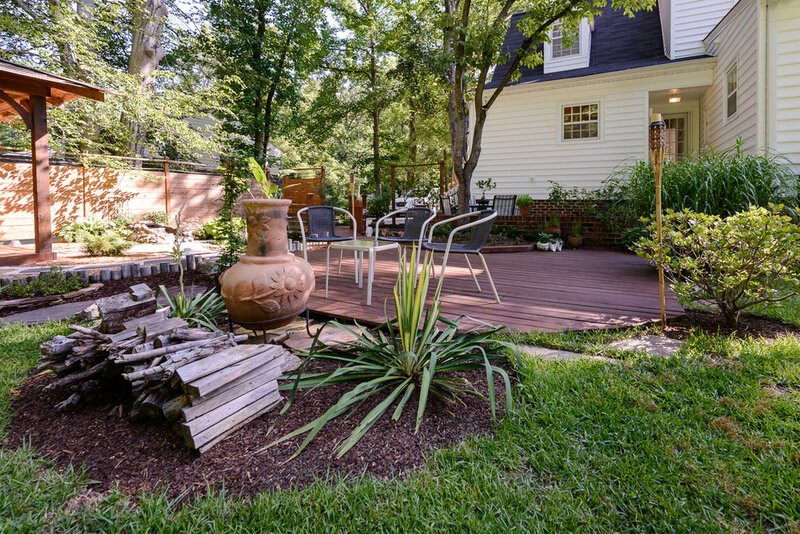 This mediation spot evolved over three Mother’s Days for my mom’s backyard. 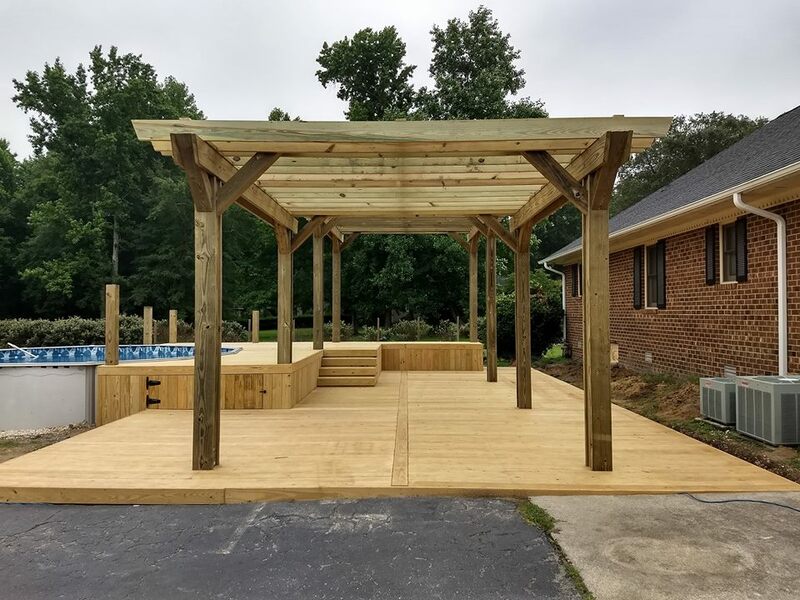 Unfortunately we had to build this deck twice due to a defect in the wood treatment but both times we did our best to give Catherine a beautiful outdoor space for her family. 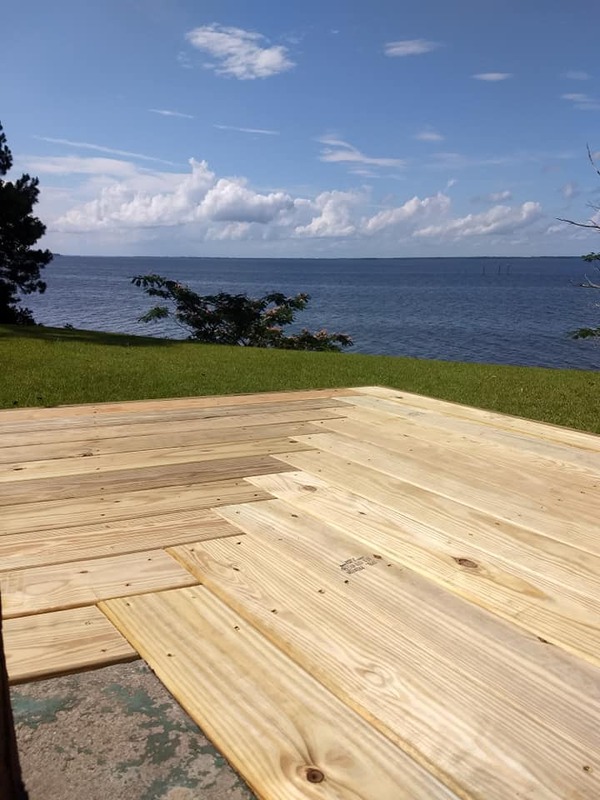 Thankful for this Capable Carpenter! 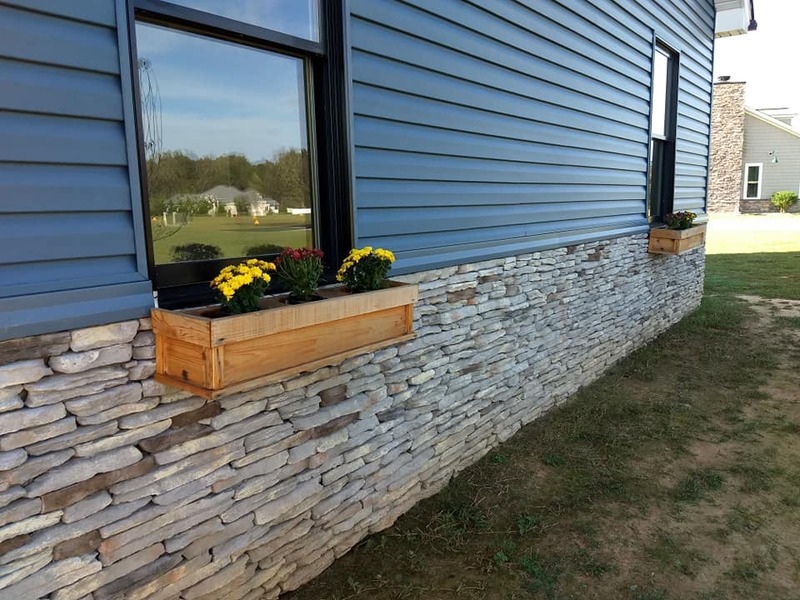 He is a man of his word and has a definite talent for creative carpentry. 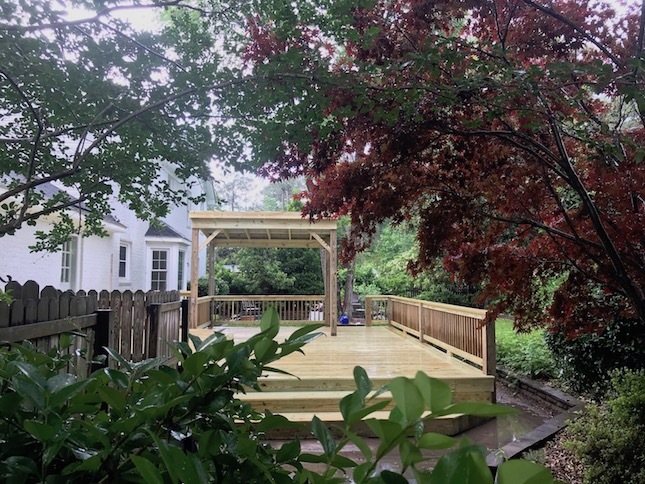 Our new deck is beautifully built and will be loved and enjoyed by many for years to come. 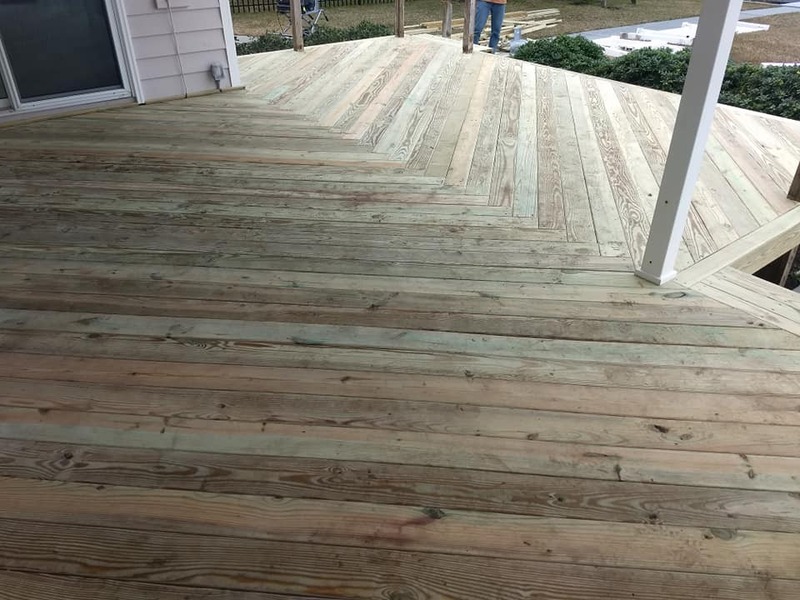 Thank you, again, very Capable Carpenter! 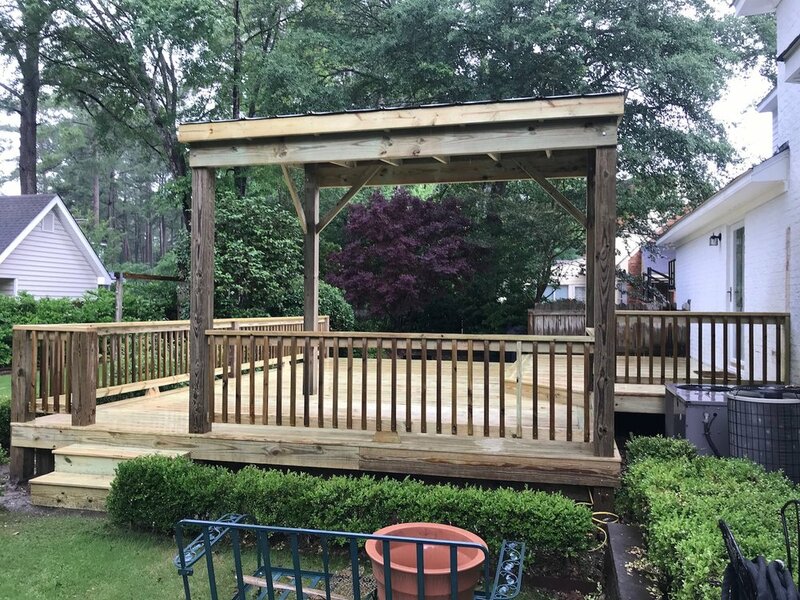 This was the original deck we built with a curved stair feature. 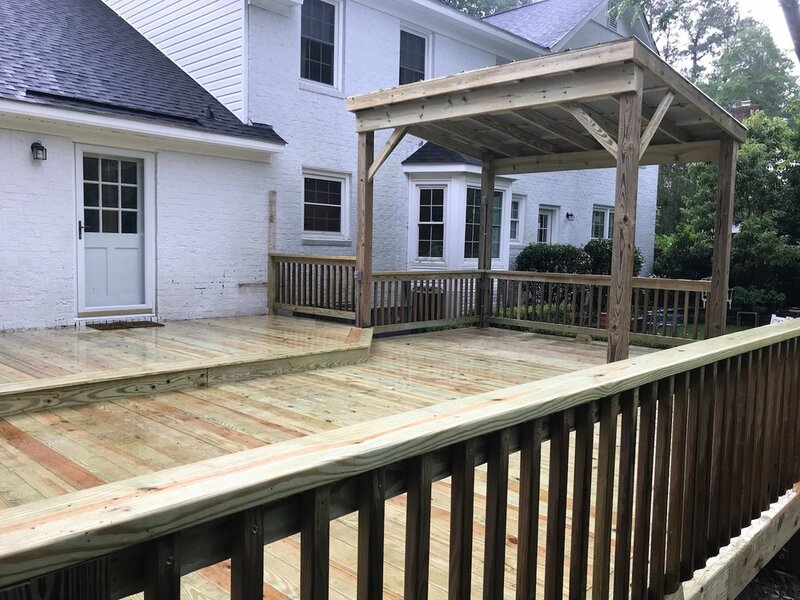 We took the basic footprint of a deck that was in bad need of repair and created a great family spot for Mark and his wife to cook out, hangout with friends and their new baby. 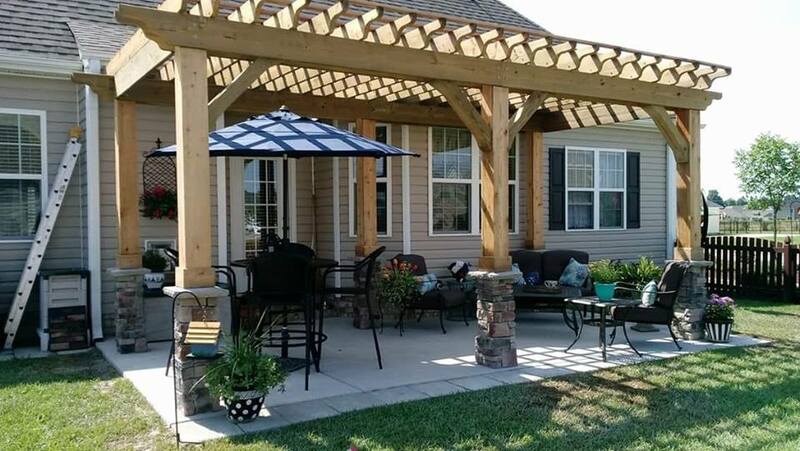 Walt and Rita are particular about their home and landscaping and called on us to create a shade pergola and outdoor seating. 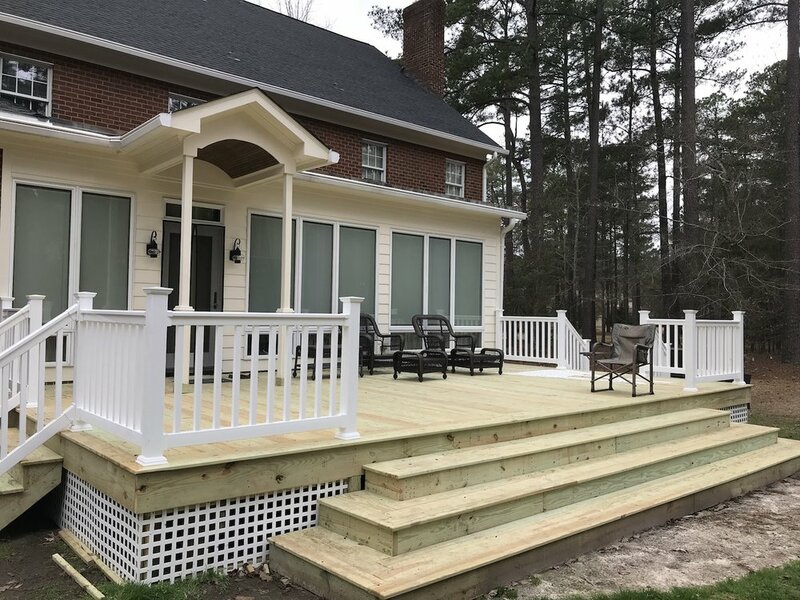 They couldn’t be happier and once Rita added her own flare, it now looks like something that belongs in an outdoor living publication. 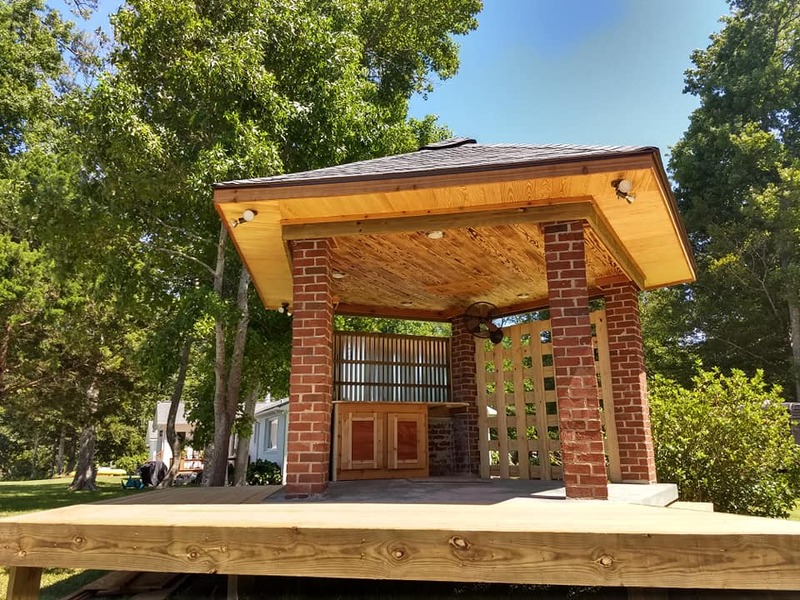 This Gazebo served as an obsolete well pump, not only did we bring it back to life with a new bar, roof, ceiling, and trellis, but we had a great time tricking it out with some secret spots making a table coming out of the floor with a push of a button. 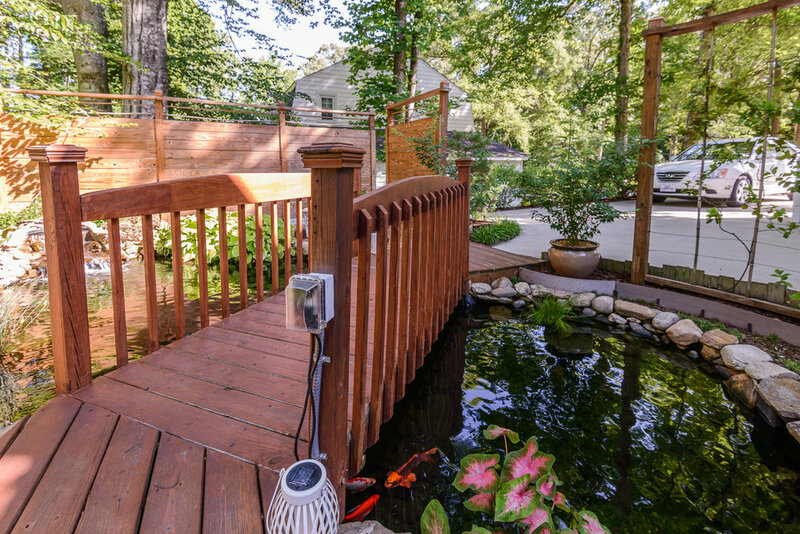 Mike has big plans for his family’s backyard. He came to us with his drawings and asked for help with the majority of the build. 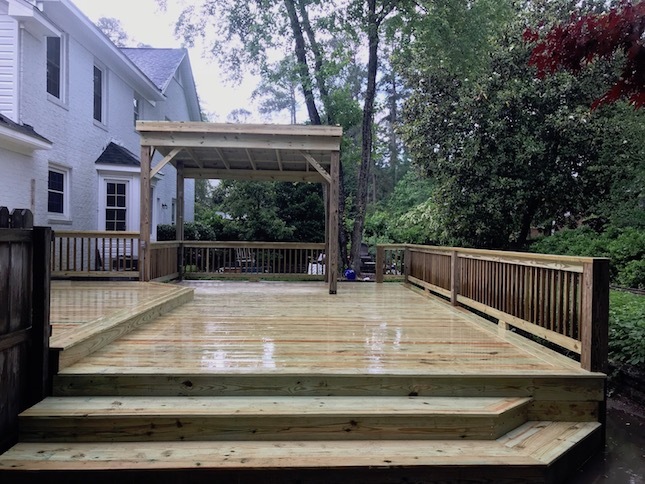 He is fully capable of finishing the handrails and benches to make a sweet family playground. 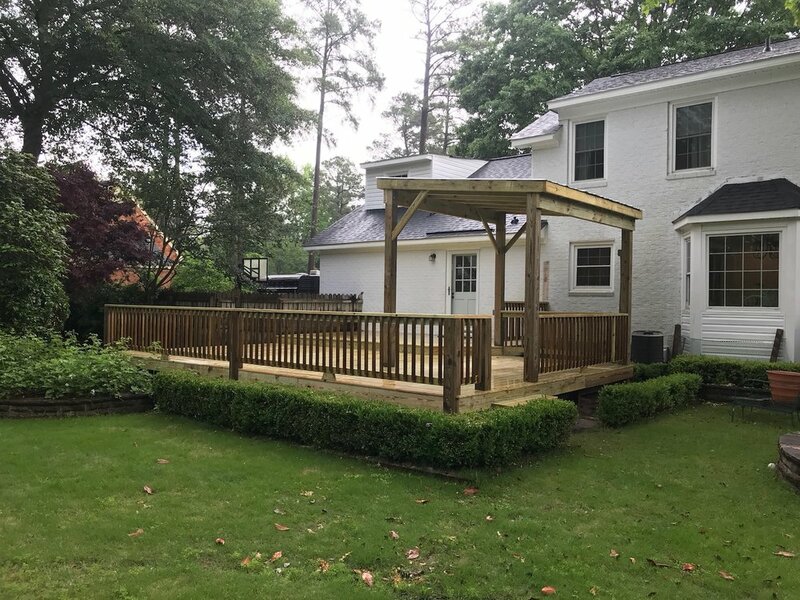 Mark designed this home but regretted his handrail design and wanted to update his deck with an outdoor shower, new handrails, and a bar. 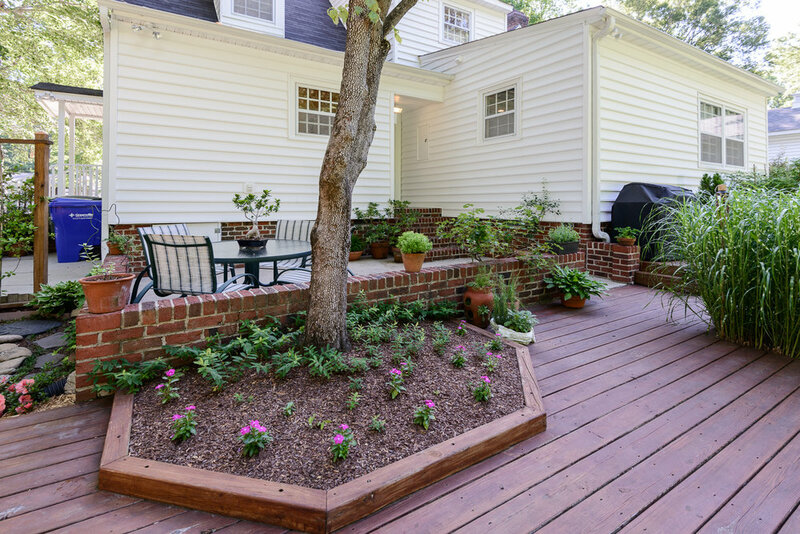 The few things that we did, radically transformed the look of his home. 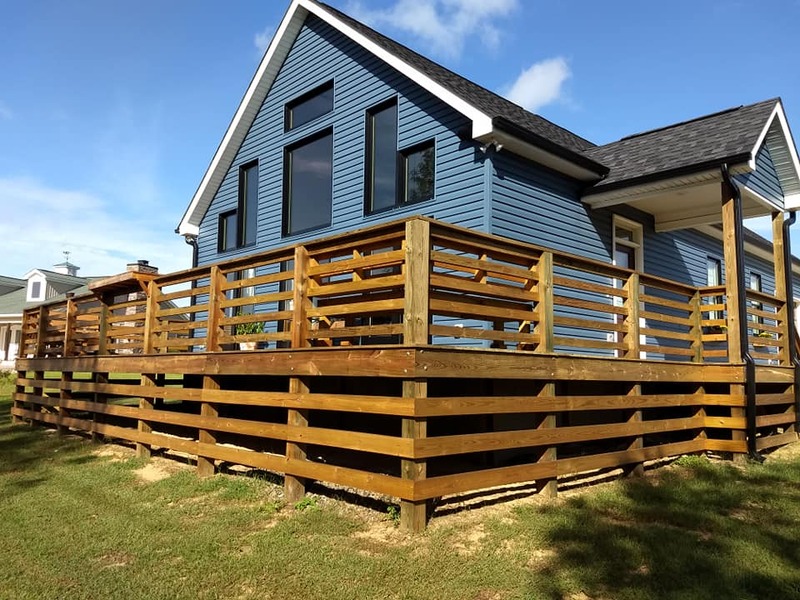 Jay’s deck just Needed his decking replaced and new handrails, we were able to save the framing.